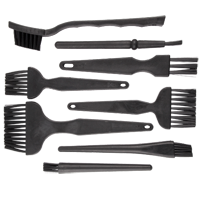 Anti Static Brush for bga rework provide manufacturers of electronics and static charge sensitive products the tools for cleaning and manufacturing that do not create static charges. 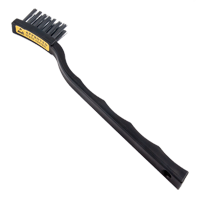 A variety of anti-static brushes have been assembled over the years to meet the variety of needs associated with ESD buildup. Set of ESD brushes 8in1 is a complete kit for cleaning printed circuit boards (phones and motherboards computers PCBs) from dust and other contaminants. It is ideal for cleaning large surfaces. Brushes are made of materials ESD anti-static discharges (ESD Safe), so that electrostatic charge will not damage electronic components on PCBs.